The fundamental design, long-term field test and quality control have made the SPRiT Edition springs. The NEW 'S' Series v4.0 - Just Feel The Difference! Newly Designed for the Rapid response and Bouncy bottoming out. This pack includes 100 apx. 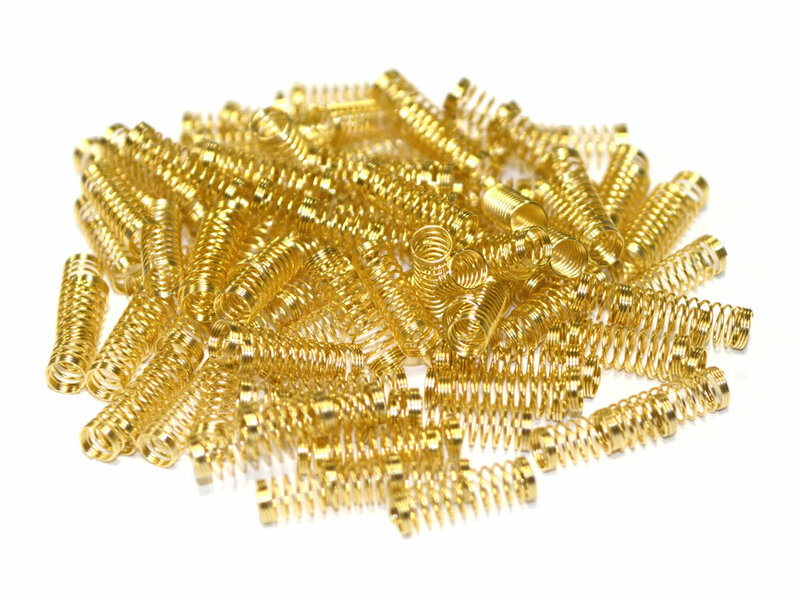 springs, 24K gold plated, designed for Cherry MX switches, the springs are fairly easy to install in unmounted or PCB mounted switches, but to install them in plate mounted switches you will need to desolder and remove the switches first.